The issue of how passport agents in Pune are indulging in mass grabbing of Tatkal online appointments resulting in the passport applicant unable to get his appointment online for days on end was reported by media after RFII took up the campaign, steered by Vinita Deshmukh, Convener, RFII. The campaign has had a great impact with Tanmoy Chakroborty, vice president & head for government industry solutions unit (ISU) at Tata Consultancy Services (TCS), which is in public-private-partnership (PPP) with Passport Division of the Ministry of External Affairs (MEA). 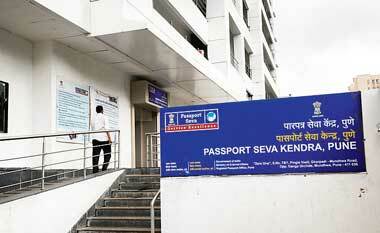 He assured that he would investigate into the matter with immediate effect by investigating into the volume flow and peaks, which can be monitored through the computers of the Passport Seva Kendra (PSK). “We always take feedback from any one seriously and we will once again look at the patterns of volume flow and peaks and troughs in Pune in conjunction with MEA and revert with the steps if any that will be taken to further make it a pleasing experience – the application for a passport,” he added. Chakroborty sent the email in response to the Vinita Deshmukh’s mail. The email stated, “Thanks to your persistent efforts, most of the problems that passport applicants used to face before our campaign in March 2013 have been eased, as they have been addressed by you very effectively. However, since the last couple of months, online appointments for Tatkal passport have become a big issue as most of the applicants do not get their online appointment for several weeks. This has nullified the value of procuring Tatkal passport which is to be issued between 1 and 7 days. Would be very grateful if you could check where the loophole is and how is it that a passport agent can give Tatkal appointment in 24 hours whereas a citizen going by the legal way cannot get it for weeks on end. Looking forward to hearing from you on this issue.” he stated.